← To meme, or not to meme? Ok, so I’m not Meg Ryan, but the restaurant scene in When Harry Met Sally is pretty descriptive of how I feel right now. After 30 days of hair pulling, finger cramping and frantic typing (is that smoke coming from my keyboard? 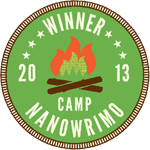 ), I met my word count goal for Camp NaNoWriMo. Thirty days to write 50,000 words. Not just any words, but the first 50,000 words in the rough draft of my current WIP, Silent Journey. I still have at least 20,000 words to go before it’s finished, not to mention the tedious task of editing once it’s done. 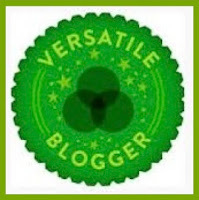 For now, though, I am basking in the glory of my win – isn’t that little badge cute? – and the knowledge that I have passed the halfway point. I’ve let my blog posts and reading lapse for the last month in my quest for fame flurry of story creation. Now, it’s time to play catch up and peruse the writing of other people for a while. Congrats to all my fellow NaNo winners. It was a long haul, but definitely worth it. This entry was posted in My Writing Journey and tagged Camp NaNoWriMo, Goals, Winner, WIP, Word count, Writing. Bookmark the permalink.